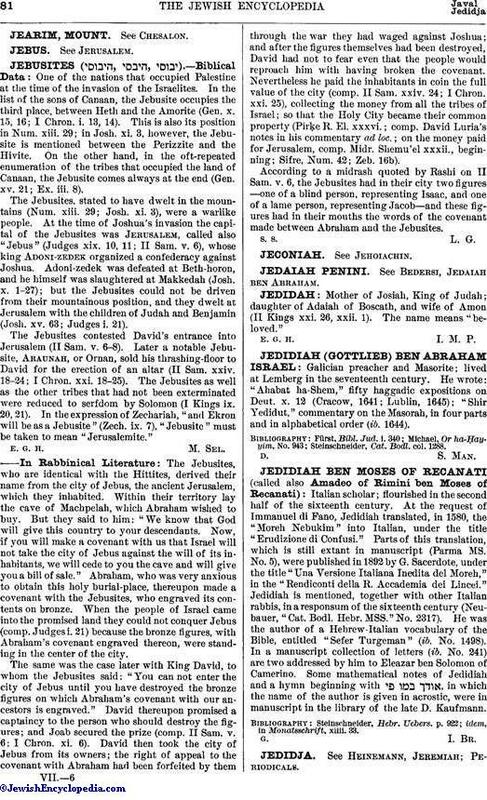 Mother of Josiah, King of Judah; daughter of Adaiah. of Boscath, and wife of Amon (II Kings xxi. 26, xxii. 1). The name means "beloved."